Xiaomi has scheduled a launch on March 27 for the Mi Mix 2s. Confirmed specs include only Snapdragon 845, as the company revealed in an official poster. 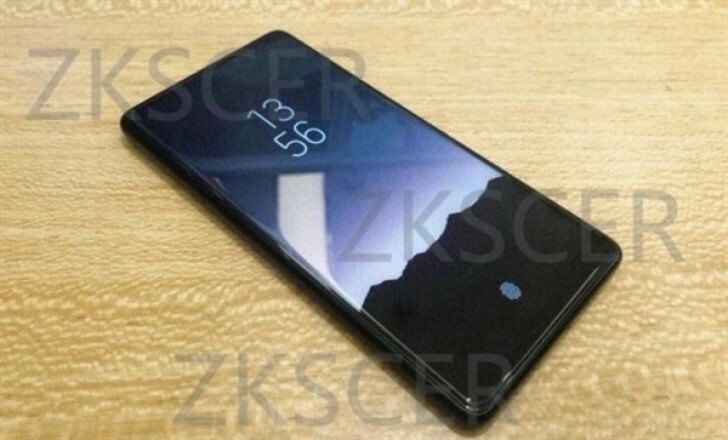 According to the latest live image, the phone might also have an under-display fingerprint scanner. The image, if real, suggests the finger should be positioned in the lower central part of the screen. It might also be just a request for the user to place his finger on the proper scanner on the back, as it does on the stock Android lock screen. At this point, we are just speculating and truth will be unveiled in the end of March. The Mi Mix 2s is also rumored to come with 6.01” OLED screen and an IMX363 camera sensor, currently seen in the latest Zenfone 5 flagships.